Moscow (AFP) - Algeria's deputy prime minister Ramtane Lamamra on Tuesday promised "open and transparent" steps to resolve the country's political crisis, as ally Moscow backed his government's plans. Lamamra was in Moscow for talks with Russian Foreign Minister Sergei Lavrov as a wave of mass protests continued in Algeria against the rule of its ageing president, Abdelaziz Bouteflika, who has been in power for 20 years. 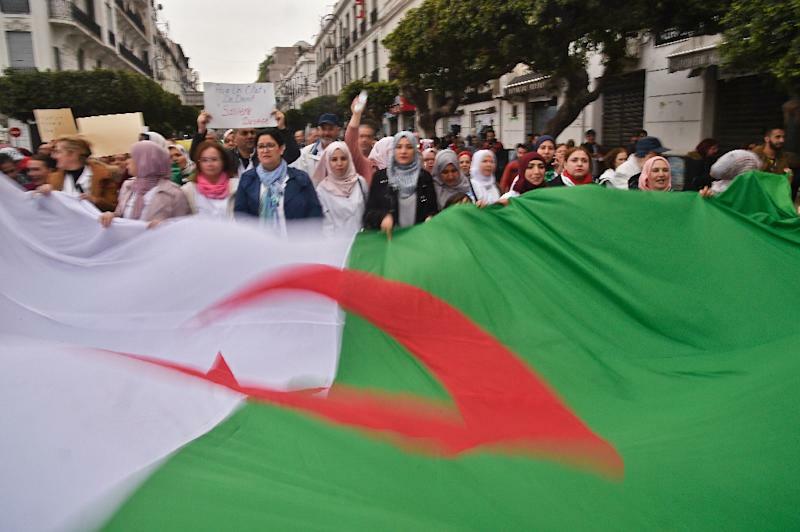 Tens of thousands of Algerians have taken to the streets to demonstrate, prompting the government to respond with promises of political and constitutional reform. So far, the authorities have pledged to hold a "national conference" to discuss reforms, followed by a referendum on a new constitution and eventually the election of a new president. Speaking after talks with Lavrov, Lamamra said Algeria was developing a "concept of a future state" and that a new constitution would be formed "on the basis of an open and transparent discussion". He said the national conference would decide the date of future elections and that Bouteflika was "ready to fully transfer his powers" to a new president. An independent commission would be set up to monitor elections and Algerian opposition groups would be allowed to participate in political life, he said. "We hope to implement all of this in the near future," said Lamamra, who is also Algeria's foreign minister. Lavrov said Moscow, a longtime ally of Algiers, was behind the Algerian government's efforts. "We support these plans and we expect they will help stabilise the situation," Lavrov said, hitting out at "attempts to destabilise the situation from the outside". Algeria has been rocked by mass demonstrations for more than three weeks, with thousands of students protested in Algiers again on Tuesday, calling for Bouteflika to step down. In response to the protests, the ailing 82-year-old initially said he was withdrawing his bid for a fifth term. But an April 18 election was scrapped and on Monday, Bouteflika confirmed that he planned to stay in power beyond his term, which expires next month.